In this episode we are going to introduce everyone to Hook Wars. The Treasure Bay where Hook Wars takes place is made up of two large vessels that are connected on their aft side. 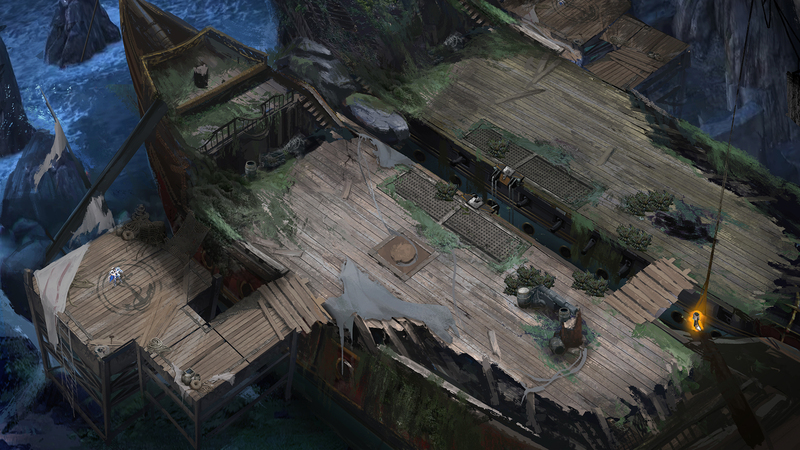 The deck is overgrown with brush as the vessels have been moored for far too long. Both sides will set off from platforms in their corner at the start of the game. You'll be able to hit enemies with long range attacks when they venture close to your ship. You can also make it to your opponent's vessel through the ships' aft for some closer combat. However, the defining feature of Hook Wars is that everyone is able to use his Hook. You can use the Hook to grab an enemy at the other side of the boat and bring him to you directly, which not only can attack him at a close distance, but also sepearte him from the support of his teammates. Thus also be careful of your opponents' own Hooks when you're in the thick of battle! In a departure from other modes, Hook Wars does not have respawning creeps, nor Towers or Crystals. The main goal is to capture The Control Zone in the middle. The Control Zone's outline will glow with your team's color when your team has more people capturing the zone, that is you have increased Control rate. Otherwise, the enemy will take a step further to the victory. The team which captures 100% of the control zone first will win the game. The key to victory in Hook Wars is smart use of your own hook and staying ahead of enemy hooks. Here, you can pursue the enemy around the map mercilessly without needing to worry about those cursed Towers. This unique hook feature makes it harder for heroes like Violet to throw out their powerful hit and run abilities! More important is how to make deft use of the hook to pull and beat up enemies, and not to blindly ignore enemy hooks meant to drag you to your doom!